LG pass on new Nexus and Google edition devices for the time being: Tablets and alternative OS' on the agenda though! LG has already confirmed that there will be a white Nexus 4 on the way in the next few weeks. That device has proved very popular and initially LG couldn't make enough of them to satisfy demand, but according to LG's Mobile European VP the company has no interest in making a sequel to the Nexus 4. The news comes from an interview with the popular Dutch tech site All About Phones, where Kim Wong explained that despite the device being proclaimed as a success, things behind the scenes obviously aren't so rosy. Kim said that despite the sales the phone having great sales there's not going to be another one because LG aren't interested in making a successor at the moment, but they haven't ruled out having another go in the future. This also means that LG aren't interested in making a 'Google Edition' of any of their phones because the company don'd perceive it adding any value to the phone without LG's custom skin, which the company believe is strong enough to be successful on its own at the moment. LG also added that Android tablets are back on the agenda, despite the previous problems selling their own slates. The change comes from last year where they were put 'on the back burner', but they're now investing in the devices and we'll see the new device in the coming months. This change is due in part to the relative negativity towards Windows 8 tablets at the moment, but we don't think they're so bad! As LG look to the future they want to try to become more independent and the think that, 'the current duopoly of Google and Apple is not healthy for the market.' That means that LG want to focus on work on devices with other platforms, but LG don't want to develop their own OS, so that doesn't entirely rule out a second life for WebOS, because technically HP still own it. 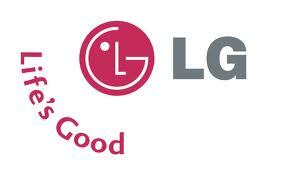 Obviously, LG could choose to work with Firefox OS or even Tizen or Touch Ubuntu for their future devices. Hardware will also undergo a new LG transformance and the plan is to use more of their own components in their devices in future. LG have already announced their partnership with ARM on new Cortex A50 processors so we can probably expect the company to build on their TV processor department. This can add to the displays and batteries which the company currently produces. It'll be interesting to see where LG go with their mobile devices and we're excited to see what they plan on doing and with what operating systems! Let us know what you want to see in the comments below! AllAboutPhones (1), (2) and (3) Via TheVerge.